In an earlier article1 I focused on the original diet of the finished creation, and a search of the biblical record was made with this question in mind. Did God leave His creation in a state where a scarcity of resources, natural selection, or eating of meat existed? The Scriptures suggest that there was sufficient food for all the birds, animals, and man. The Bible expressly states that God commanded the birds, animals, and man to eat only from the plant kingdom. Thus, the statements of Scripture are perfectly clear. Creation was not to eat meat of any kind, nor was resource scarcity a present reality. The biblical text tells us the status of the finished creation. If it did not have any of these things operating when God finished His work, then the prospects of physical death before the Fall of Adam are slight indeed. No active agent would have existed to cause death. When death occurs, whether seen from the vantage point of the Scriptures or from our experience, there must be some active external force to cause death. It appears that a contradiction exists between what many believe, and what the Scriptures actually teach. This quotation implies that death has always existed on the earth, and therefore, God must be the one responsible for creating it. All too often, people say they believe what the Bible teaches, but accept a popular idea without ever examining the Scriptures to see if such an idea is true. This idea of a ‘living thing’ could be exemplified by plants and animals. One definition of life is: ‘taking in food, getting energy from it, growing, adapting themselves to their surroundings, and reproducing their kind.’3 This is how many differentiate between something that is living or non-living. Yet the Christian must ask: does this popular definition agree with the biblical definition of what a ‘living thing’ might be? The Scriptures set forth limits or boundaries on every area of our thinking. Since the Bible is the authoritative Word of God, man must place his thoughts in subjection to the thoughts of God. So, regarding the definition of life, the Bible does set limits on what possesses life. This must be the determinative source for all areas of man’s study. The discussion of these boundaries may appear as a ‘slough of despond’. Although it is necessary to examine the scriptural boundaries in depth, one may lose sight of the forest because of the trees. To overcome this loss of focus, the reader must think of himself as a detective. The detective must examine all the clues that relate to the present issue. Once he has all the clues, then he can step back and see the whole picture. The reader needs to bear with the discussion and gather the clues as they surface. Once this task is complete, then it will be possible to step back and examine the whole picture of how the Bible draws the boundaries for defining a ‘living thing’. A glimpse of these various boundaries may be illustrated from the books of Genesis and Leviticus. These are not the only places where the boundaries occur, but these two books clearly present them. In Genesis 2 God creates man and man becomes a ‘living soul’. In Genesis 7 two more limits occur: they are ‘flesh’ and ‘spirit’. The final boundary comes from Leviticus 17:11. Here the text says, ‘the life of all flesh is in the blood’. This English translation is from two Hebrew phrases. The parts of these phrases will be examined in the Old and New Testament statements. The interpreter must observe the use of each of these words as they relate to humans, animals, and plants. Space constraints will prevent a full semantic treatment of these terms, so a sampling of the evidence will be given here.4–6 Upon finishing this task, it will be clear what the Bible determines to possess life. If it can be shown that plants are not ‘living’, in the biblical sense, then one can assert that there was no death, suffering, or scarcity in existence in the finished creation. The Bible associates life and ‘soul’ together in Genesis 2:7. The ‘soul’, biblically speaking, provides an organism with the capacity to express desires and emotions. The entire biblical record must be studied to observe what possesses a ‘soul’. Another problem is this word’s history. Some try to establish the history of nephesh by tracing it back to an Ugaritic or Akkadian word. Those who practice this method say the original meaning was ‘throat’ or ‘neck’.11–13 Yet conclusions of this type of extra-biblical historical approach should be considered less authoritative than a study of the biblical context. Nepes more often refers to humans than it does to animals. The interpreter should expect this because the biblical text focuses primarily upon the relationship of man with God. Yet according to the Scriptures animals do possess consciousness. Not only do the Scriptures claim that animals have nepes, but they also attribute desires and emotions to animals. Animals possess desires for food (Proverbs 12:10) and water (Psalm 42:1, Joel 1:20). They also show the emotions of fear and despair (Lamentations 1:6), and love (Proverbs 5:19). These verses illustrate that animals have similar desires and emotions that humans possess. The most significant references to animals occur in Genesis 1:21 and 24. Here the Bible calls these animals ‘living creatures’, and consist of two different groups, the land and aquatic animals. The conclusion is that animals, as nepes, possess consciousness, which allows them to express desires. Johnson argues that both humans and animals can be classified as nepes because they have conscious life and possess feelings (emotions) plus desires. Life according to the Bible must possess the capability of being self-conscious. If something does not possess self-consciousness, then it cannot be considered ‘living’. So one can conclude that the Old Testament links nepes to man, and even to animals. It then refers to the whole being or any of its parts. This illustrates that the use of nepes may refer to the whole man, since it can replace a relative pronoun when speaking of a human being. The point lo be gleaned is this: in many respects these words often overlap in their referential significance, so both can refer to man in his entirety. Further, leb is only once used of animals to show emotion (2 Samuel 17:10—this verse is comparing the heart of a warrior to that of the lion). One could rightly say that both animals and man possess this kind of emotion called leb. ‘Heart’ also can be observed in colloquial English, where the same trait is given to man and animals (that is, Richard the ‘lionhearted’). There is only one reference in the Old Testament that uses panim to refer to animal emotion, 1 Chronicles 12:8. Here the author compares the fierceness of a warrior and that of a lion. So then, one can say that ‘face’ may appear in similar contexts as ‘heart’ or ‘soul’. The face according to the Old Testament does represent the whole person as an emotional being. The Old Testament gives examples of these states of animals by comparing the emotions of animals to humans. The Old Testament uses certain animals for such comparisons: donkey or mule, bear, lion, horse, gazelle, ant, bee, leopard, fox and the wolf. The emotional states that are compared are: cunning, fierceness, irritability, stubbornness.39 So the Old Testament does illustrate the emotional or conscious part of animals by comparing their emotions to those of humans. Therefore, one can speak of the holistic nature of man from the Old Testament, and of animals too, by the term nepes and semantic overlap with leb and panim. The Old Testament also presents evidence for the application of nepes to animal life, since they too have consciousness. The terms ‘heart’ and ‘face’, only used once concerning the emotional states of animals, are illustrative of the complex emotional makeup of man. The results gleaned from these words are that man and animals exist as emotional creatures made by God. Man and animals have emotional relationships, because they share the same essential makeup as nepes. Although that relationship has changed since the entrance of sin into the world, yet it is only man who can have an emotional relationship with God, because it is he alone that has the image of God. One can observe that the New Testament view of man is that man is a unified whole. The only reference to animals as psuche is Revelation 8:9, where it says that one-third of the living (psuche) creatures in the sea died. Thus, the New Testament considers both man and animals to be living creatures. An important point to be gleaned from this is that nowhere in the Scriptures are plants ever given these characteristics. Man is distinct from all the animals, not because he has a ‘soul’ but because he is in the image of God. Man can enjoy animal companionship because both man and animal are ‘living’. Man and the plant kingdom cannot have an emotional relationship because plants do not possess this vital component of life. The relationship man can have with the plant kingdom, according to the Scriptures, is one of planter, harvester, and consumer. In terms of this one defining boundary, plants are not living and therefore cannot be subject to physical death. The second characteristic of life, as the Bible defines it, is the possession of ‘flesh’. This is both a physical characteristic and an emotional one. This section will examine what the Scriptures signify by this aspect and how it relates to the definition of ‘life’. The Hebrew word for flesh is basar. This word occurs throughout the Old Testament, and, like nepes, has a broad semantic range.49–53 The basic idea is some form of corporeal nature. Basar, when used of animals, refers to the flesh of the animal (that is, the muscle tissue and skin). One can observe this in Genesis 9:3 when God first gives man His permission to eat animal flesh. The Mosaic Law also imposed restrictions on the eating of the basar of animals (Leviticus 17:13, Deuteronomy 12:16,24). Yet most of the occurrences of basar in the Old Testament discuss the use of animal flesh in the sacrificial system. Within the Old Testament one finds that the term ‘flesh’ refers to the flesh, or the muscle and skin of the animal. The use of ‘flesh’ describing humans occurs 169 times out of 273, the remainder referring to animals.54 Wolff describes the significance: ‘This alone shows that basar is the term for something that is broadly characteristic of both man and beast.’55 The major physical characteristic that both man and animals share is that both man and animals have flesh, or muscle. This word, when referring to humans, can signify the entire physical body, or just parts of it (Numbers 8:7 and Job 4:15 appear to refer to just the head and not the entire body). The idea of a relationship between beings, whether it is man and man or man and animals, also can be shown by the use of ‘flesh’. The relationship among brothers or nations can be expressed by referring to a common flesh (Genesis 37:27, Nehemiah 5:5). It can be used as a reference to all living things, as in Genesis 6:12 and 17 (cf. Genesis 9:16). All things with basar are grouped together probably because they all can share in the blessings of God’s provision. Another meaning of ‘flesh’, as it applies to humans, has the idea of weakness. Often in the Old Testament, to rely on one’s own strength is to rely on his basar. This functions in a contrastive sense with one trusting in God’s faithfulness (Jeremiah 17:5,7). One also might note that this weakness could have a physical connotation comparing human might with God’s (2 Chronicles 32:8). Wolff observes: ‘basar not only means the powerlessness of the mortal creature but also the feebleness of his faithfulness and obedience to the will of God.’56 Thus ‘flesh’ in the Old Testament can signify either a physical or moral weakness, or the physical body. The nepes signifies the animating principle of both man and animals, and it is the ‘flesh’ that is animated. If the nepes were to depart, the basar would die, yet one cannot be a nepes (other than God himself) without possessing a basar. One should note the semantic range in this word. The Classical Greek illustrates six uses of sarx,59 whereas the New Testament shows eight distinct uses of this word.60 Paul provides the most interesting usage of sarx. Most of the occurrences in the Gospels and Acts refer either to the physical body, or to some aspect of it similar to Old Testament usage. This can be illustrated by the comparison that our Lord draws between flesh and blood or between flesh and bone (Matthew 16:17 and Luke 24:39). The second chapter of Acts uses sarx concerning the body of Christ, and all humanity. Sarx may also signify the marriage union (Matthew 19:5–6 and Mark 10:8). The Old Testament idea of a physical body or a relationship among creatures is reflected in the New Testament use of sarx. The most significant development from the Old Testament occurs in the Pauline literature. Paul refers to the ‘flesh’ as an instrument of sin (Romans 7:18, 13:14, Galatians 5:16–19). This is similar to the Old Testament idea of weakness that exists in the flesh as unbelief, but Paul goes further, in that he establishes the root of the weakness. The weakness in the sarx is a sin principle that governs the individual.61 Schweizer supports this idea: ‘sarx approximates to the idea of a power which works on man and determines his destiny even beyond life on earth.’62–65 Still, one cannot separate between the principle known as sarx and the actual physical body of sarx. Man, in the unbelieving state, is who he is because he is ‘flesh’. The ‘flesh’ principle is very strong and refers to the complete man.66 This use of sarx, as a principle, could be illustrated by the occurrence of the adjective ‘fleshly’. This signifies the actions of believers who are not living up to their ‘spiritual’ calling in Christ. Paul, by using sarx in this manner, links the physical body and the ‘soul’ into one unit. So although Paul adds to the semantic range of sarx, he is not in essence altering its meaning. Finally, one other term should be alluded to at this point, the word ‘body’ (Greek soma). This is a rare word in the Septuagint and translates se er, which refers to a specific part of the ‘flesh’, and nebela, the word for ‘corpse’, and occasionally, for basar. Soma refers to the physical body and occurs with other terms such as ‘blood’ and ‘bone’.67 When it appears in the New Testament soma refers to something that will be completely transformed in the future resurrection. Whereas sarx is being transformed while living on earth, so it will not be affected by the bodily resurrection.68–70 When soma appears it is descriptive of the physical body, in contrast with sarx which sees man holistically. The New Testament uses both sarx and soma referring to animals. The book of Hebrews discusses the fact that the bodies of animals were burned outside the camp (Hebrews 13:11), referring to the carcass of the sacrificial animal. John uses sarx of the flesh of horses after the great battle (Revelation 19:18). Although there is little mention of animals in the New Testament, it appears that animals do possess the same physical flesh as humans. Clearly nowhere in the biblical record is one told that plants possess any kind of ‘flesh’. The New Testament declares that humans and animals possess soma and sarx. This follows the Old Testament use of basar as it relates that to plants. The only possible conclusion which can be drawn is that the Bible does not afford to plants the status of ‘living things’. On the second boundary of life, one can find no mention of plants in the Bible. The third necessary aspect is that of ‘spirit’ or ‘breath’. This term (and its usage) is broad, yet like the other two it functions with ‘life’, so that which does not possess this aspect is not living. This is an interesting observation that Wolff makes concerning the occurrences of ruah—seldom does it refer to man or animals. The references of ruah to animals are few, in fact there are at most twelve clear references to animals having a ruah and four of these are associated with humans. Payne states that the animals gain their ruah from the earth (Genesis 1:24) while man’s comes by the creative breath of God (Genesis 2:7).75,76 In the Flood, God destroyed all that had the ‘breath of life’, which included both animals and humans. When ruah refers to animals, it points to either animals breathing, or to the immaterial principle of life that makes them nephesh. Man is the subject of ruah approximately 100 times in the Old Testament, illustrating man’s emotional state plus his physical state. When this word represents the physical nature of man ruah refers to the physical breathing that sustains his life (Genesis 6:17, 7:15, 22, Psalm 104:29, Habakkuk 2:10). It is interesting that whereas nepes examines the whole man, ruah allows such a separation. Man’s ruah is from God and, at death, returns to God.77 The existence of man is very much dependent upon the grace of God. Thus, one can say that all man’s emotions are generated from the ruah. Many passages allude to this type of activity, and the book of Proverbs contains many examples. Because God created man’s ‘spirit’, and God is himself ‘spirit’, they can have a relationship of total personalities. Man shares much with animals, but he can never have the same kind of relationship with them that he has with God. Animals possess a ruach, but it is a by-product of their creation from the ground not given to them in the same manner as the human ruach. The one parallel word to be examined is nesama. It occurs 23 times in the Old Testament. When it refers to God, it speaks of the breath or wind that energizes or judges men. When its subject is man and animals, it speaks of the process of respiration and links it with their physical life. This can be observed from the Flood narrative, where nesama is linked with life. The loss of nesama is death. Some have tried to put more into this term than warranted by the context.80 This word is synonymous, in certain contexts, with ruah (cf. Genesis 6–9). The significance of Robinson’s statement is that it illustrates the interrelatedness of the nepes and ruah. The intended description is of an immaterial aspect that is resident within man. This word does not seem to refer to the immaterial nature of animals. Yet because of the semantic overlap between nepes and ruah, one should not be dogmatic regarding the immaterial aspect of animals. Indeed, one could get a glimpse of the immaterial aspect of animals from Ecclesiastes 3:21. Whatever one may conclude about the ruah of man and animals, it cannot be separated from the person or animal. It is a vital part of what the Old Testament considers ‘living’. One also should note that these terms, ruah or nesama, are never used of plants. Having considered the Old Testament use of ruah it is necessary to examine the New Testament use of a similar word pneuma. This word normally translates the Hebrew word ruah, and the other related term nesama.82 In the Gospels and Acts the use of pneuma is the same as the Old Testament. One can see this term used of God, of demons, and of man in his emotional and relational aspects. Unlike the Old Testament, the New Testament never ascribes this aspect to animals, though it does refer to breathing in humans. One should observe that man can be referred to holistically in terms of pneuma. The natural man’s pneuma does not respond to God, and therefore must be regenerated by the Holy Spirit to have fellowship with God. It is up to the believer whether he will have fellowship with God through the Spirit, or whether he will live according to the dictates of his sarx. Paul thinks of man as a whole that cannot be divided into two distinct parts and still have a living human. It must be noted that one can speak of a ruah or pneuma of humans and of animals, but these terms never describe plants. Whether one takes these terms to refer to the physical act of breathing or to some immaterial aspect within the being, one cannot separate these characteristics and still have a ‘living thing’. Plants fail to meet this third requirement for possessing biblical life. All life must possess a ruah and pneuma as animals and humans do, but plants do not possess this aspect of life. The fourth biblical criterion for life is very important. The Bible’s doctrine of salvation has at its foundation that blood can atone for man’s sin. There is no disagreement about the meaning of this term; it is the same thing that flows through human and animal bodies. As one studies the use of ‘blood’ in the Old Testament, one cannot escape the related idea of atonement. As stated above, there is no doubt that what God intended by the Hebrew word dam (translated ‘blood’) is that which gives life to the body. There are two basic views regarding the significance of blood in the Old Testament. The first is that blood is a symbol of death. Hamilton says that ‘blood’ denotes death ‘or more accurately, life that is offered up in death.’86 This idea appears frequently by the use of the plural of ‘blood’ (damim), which speaks of a violent death. The word dam can refer to death, but only in a figurative sense, in that it is a picture of the depletion of a vital part of life resulting in death. This, the idea of an expiatory sacrifice, is truly the center of the Old Testament sacrificial system and the main focus of Leviticus 17:11.93 Wenham says, ‘in other words the life of an animal is represented by its blood being splashed over the altar.’94–98 The idea of substitution is clear between worshipper and victim. The Old Testament closely links all three of the parameters of life covered up to this point. Leviticus 17:11 shows that blood refers to the life of the individual given in exchange for the life of an animal. This illustrates, according to the Old Testament, a ‘living thing’ must possess consciousness, flesh, and blood. If these things are not possessed, then the thing is not ‘living’. The New Testament illustrates the same points just addressed. First, one can see a close link between the Old Testament and the New Testament (especially in the book of Hebrews) that the blood is necessary for ‘life’. Yet in all the 456 occurrences, not one speaks of plants as having blood. So then, plants cannot be considered as ‘living’ things in the biblical sense. Second, the blood represents the life of one who replaces another. In the Old Testament animals would replace humans. But it was the Lamb of God, our Lord Jesus, who took our places in receiving God’s wrath. So then to misunderstand the role and significance of blood is ultimately to cast a long shadow on the death of Christ. The last biblical parameter for the defining of ‘life’ to be considered is that of ‘life’ itself. Although this is a general kind of term, its association with the previously discussed parameters of ‘life’ would confirm the above assertions. Considering the above statements, one would then expect to observe this Hebrew word for ‘life’, haya, in a variety of contexts. One can see four contextual meanings for haya. The first is to be seen as signifying the lifespan of the individual. The clearest illustration is in the genealogies of Genesis 5 and 11.101,102 The second usage is as a contrast with the Hebrew word ‘death’ (mut). When ‘life’ is contrasted with ‘death’, existence or survival in the land of the living is the topic of discussion.103,104 The third usage is that of holistic life. This seems the most prevalent usage in the Old Testament. It refers to the individual’s standing with Yahweh. This can be illustrated in the Psalms, with the meditation on the law. Here one also encounters the Hebrew word for ‘good’, in its semantic significance of moral uprightness or one being in a beneficial place in the covenant. The Old Testament looks upon the whole life of man including his religious actions. How man acts in relation to God will have an effect on every area of his life. Two other words also should be mentioned: the words ‘peace’ and ‘blessing’. These words show the results of living in a proper relation to the covenantal regulations, but the opposite could be true if one is not living according to the covenantal regulations. The final idea conveyed by the Old Testament, although it might be placed under the third, is God as the giver and sustainer of life. The Hebrew phrase ‘living soul’ is the phrase used to show ‘life’. The word haya appears with God’s activity in resurrecting the dead.105 So God is the One who ultimately controls life in all its expressions. As indicated, under haya, life in all its expressions is based on one’s standing within the covenant, so the New Testament takes this idea and broadens it. Now the individual believer, not the whole nation, stands before God and His regulations. According to the New Testament an individual may be judged for not keeping God’s regulations (1 Corinthians 11:30, 1 John 5:16–17, James 5:19–20). Most of the New Testament theologies lend themselves to some form of dichotomy, in the definition of ‘life’, in that they state that the ‘true’ realm of life is in some future state.114–119 Yet it would be better, in the light of the entire tenor of Scripture, to understand the true life as a present reality and also a future promise.120 So one should understand that the New Testament usage of bios and zoe is similar to the Old Testament usage of life in a holistic sense. One should observe that never do the Scriptures attribute the aspect of ‘life’ to plants. The words that are used to discuss life are only used of humans and animals. Animals are given the terms haya and zoe, men are given these terms in a further developed sense because they are created in the image and likeness of God. Plants are nowhere given the same status as animals and men. However, it is interesting to observe that in Classical Greek thought plants were given the status of ‘living’.121 Could it be possible that much of the modern biological thought has been heavily influenced by Greek pantheistic thought? If this is true, it is all the more reason for those who believe the Bible to bring ‘every thought into captivity’ to the authority of the Scriptures. So far we have dealt with the biblical evidence on the definition of life. Now we need to deal with the scientific evidence that supports our conclusions as to what constitutes biblical ‘life’. However, someone may say ‘this guy is not a scientist, so how can I trust his scientific evidence?’ It is true that I do not have training in the sciences. Yet my purpose with this evidence is to suggest that what the Bible teaches can be supported by science. I have done my research carefully, and have sought input from biologists. I believe what follows is a fair representation of the scientific literature. We will attempt to take the biblical boundaries already discussed and apply them to the biota of today. I have already suggested that plants are not ‘living’ things. This, of course, is a heretical statement as viewed by modern biology. Still, the question that must be answered is: can we find evidence to support the biblical teaching? With what follows, I seek to ask the Christian biologist to rethink the modern idea of ‘life’. The first boundary that we must consider is flesh. Recall that the discussion of flesh focused on the word basar. We should examine the extent of this word as it refers to man and animals. This word may refer to the whole of the individual or animal. It also appears that this word may signify only a specific portion of the flesh. When basar refers to animals, it can signify that which man eats (Genesis 41:2–3, Exodus 12:8, 16:12). These are only a small portion of the verses that discuss this subject. As one examines the whole theme, it appears the portion consumed is only the skin and muscle tissue. The use of basar referring to humans is similar in that it focuses on the skin and muscle (Genesis 17:13–14, 40:19, Leviticus 13:1–59). The description apparently refers to the organized striated muscle tissue covered by a layer of skin. Both animals and man have two kinds of muscle tissue.122 One is the striated muscle group; this is a rough textured muscle. Second is the smooth muscle; this is the makeup of many organs. The Old Testament has words referring to the internal organs and fat tissue. Meim is the general word for the entire system of internal organs, or just the reproductive organs. Meim also may have a figurative meaning.123 The Hebrew language has a word that can specify the kidney—it is kilya.124 Kilya occurs in the Old Testament, primarily in the sacrificial system. The priest removed the kidneys and burned them as a special offering to God. If the Old Testament desired to include the internal organs as part of the description of man or animals, it possessed the terminology to do so. Hebrew also had three words for fat: bari,125 dashen,126,127 and halb.128 All three of these words occur within the sacrificial system. So, the restrictive use of basar is significant. It refers to a special organized muscle system and its usage in this manner eliminates the other possibilities of smooth muscle (organs) and fat. But contractile ability is not the issue. The issue focuses on the organized contractile mechanism of muscle tissue. It appears that the first occurrence of this type of tissue structure is in the Coelenterate phylum. So one may trace the use of muscle tissue through the various groups of invertebrates such as insects, spiders, molluscs, to the vertebrates. Yet there is more to the striated muscle system than just the muscles themselves. As it turns out there are two kinds of skeletons that animals may have. The first is the ‘hydrostatic skeleton’. This is the kind of skeleton that most of the invertebrates use. This kind of skeleton ‘requires an enclosed and incompressible volume of fluid against which the muscles can work, and this is provided by the body cavity.’136 In many invertebrates there is a structured connective tissue that serves the mechanics of muscle attachment.137 The second kind of skeleton is the ‘stiff skeleton’. This has ‘regions of hardened material incorporated into the body, with muscles arranged usually in antagonistic pairs to pull against them.’138 So whether one examines vertebrates or invertebrates the answer is still the same. There must exist some form of skeletal system so the muscles can fulfill their task. There is also another component to this design, namely the nervous system. It appears that the muscles and the nervous system function together from the invertebrates on up the classification system.139 So the muscles must function within a specific area, and this area must be the skeletal system. Now let us consider the makeup of the muscles themselves. The muscle cells have a fibrous material—actin and myosin, the myofilaments—organized into myofibrils.140 Actin, myosin, etc., are also found in the contractile processes of non-muscle cells, but non-muscle actin differs in some molecular features from muscle actin and is coded by a different gene.141 So the muscle structures of those animals who possess them are very complex, yet one should ask if plants possess these same characteristics. Yet this is just the opposite of how the hydrostatic skeleton works. The muscles work by opposing each other against the skeleton. Here in the stomates, the water does all the action, and the microfibrils just receive the benefit. So one can observe that even the ascent of sap up a vascular system is not the product of some contractile mechanism, but the result of water pressure extended down the vascular system. So can one say plants possess muscular activity? The plain and simple answer to that question is no. Plants do not possess muscular activity, and so do not pass the first biblical parameter of life, the possession and activity of muscles. If one were to consider the evidence seriously, one must conclude that this argument really does not prove evolution at all. What it proves is common need calls for common structures. Morphological homology is not a proof for or against evolution, yet it is the major proof for this belief system. 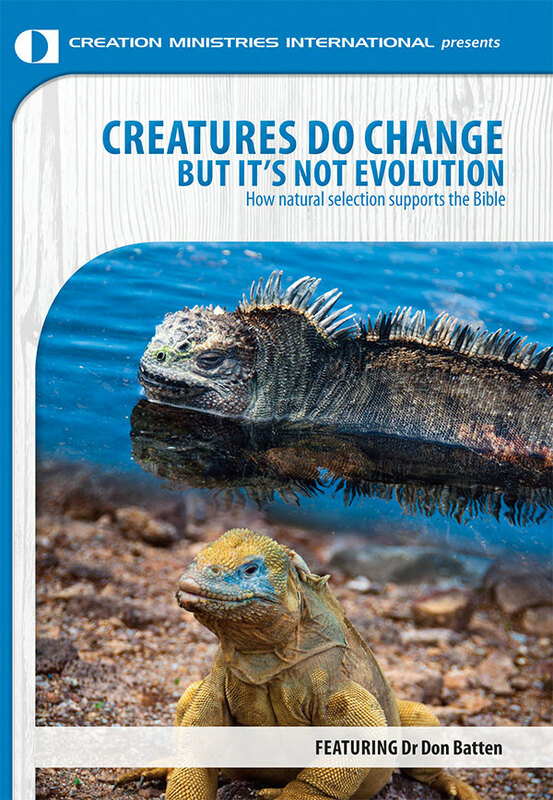 Even a recent book on genetics argues from this perspective when discussing macroevolution.151 One further observation, when authors argue for evolution, they usually discuss the various aspects of speciation and microevolution. These authors do not attempt at spanning the gulf between plants and animals, and animals and humans. It would appear that the basis of their argument is circumstantial evidence, and one’s presupposition or belief system controls that conclusion. So the same evidence could be used to support Divine creation or evolution. The next area of comparison between plants and animals is that of blood. As already stated, the meaning of this term is clear. This term means that which flows through the animal’s body. There are no related terms to ‘dam’, it is in a class all by itself. Here we will examine four areas of blood. The first question to be explored is: what is the definition of blood? Blood is of course a liquid, yet it is much more. So then, one may glean from these statements a definition of blood. It is that system of transport in liquid form flowing through the body. The idea under all the definitions is the transport system. We will examine exactly how this transport system functions, but first one must understand of what materials this transport system consists. So then platelets are a specialized part of the human blood. It would appear that even invertebrates have much the same kind of blood that humans and other vertebrates possess. The body fluids of the invertebrates are mostly ‘aqueous mineral solutions containing all the principal salts of seawater.’166 The blood cells of the invertebrates are different from the vertebrates, in that some of the invertebrates may have copper instead of iron. It appears that the cells of the invertebrate blood ‘are most generally leucocytes.’167 This will complete the short discussion on the components of the blood systems of the vertebrates and invertebrates. The invertebrate hemoglobin is similar to the vertebrate hemoglobin, yet not identical. One may note that this kind of blood exists within certain invertebrate animals. It also should be noted that this is a very poor oxygen carrier as compared with the previous two kinds of blood. This is somewhat better at carrying oxygen than the other, yet not very much better. This has a large use by many invertebrates such as gastropods, cephalopods, arachnids, malacostracans and crustaceans.173 The invertebrates have four different blood structures, each used well by those who possess it. Here we have the various types of blood in both invertebrates and vertebrates. Each kind, it would appear, serves those organisms that use it very well. Now it remains to examine how various organisms use blood. This function depends on the blood in the bodies of those who possess it. This is also a necessary part of life, that being the transport of food and its waste products. Yet there may exist another major function of blood that deals with the distinctive nature of blood, that being transport of oxygen. While the transport of oxygen is the other major emphasis of blood focused on here, there are more functions of blood, yet this is the most significant for the present argument. We call this function ‘respiration’. We will examine this function later as it applies to respiratory structures, but we examine it here as it applies to blood. The following discussion will focus only on the uptake and disposal of gases in the body. So then, one may conclude that invertebrates and vertebrates possess blood that does much the same task in terms of oxygen transport. This discussion has emphasized that blood is important for life. The Scriptures teach that life and blood must exist together or not at all. The biological sciences echo the biblical statements about the importance of blood. We also must recognize that, while there are some substantial differences, in all animals that possess blood it is similar in function. Yet how does this relate to plants? We must seek to answer the following questions. Do plants possess blood, does it have the same function, and could we say that they are ‘living’ as illustrated by this parameter? We can observe that many ‘lower’ animals do possess blood, and the Bible says that they are ‘living’. Many worms, insects, shelled animals use blood in a similar fashion as do humans. Therefore it would appear that these ‘lower’ animals must be included in defining biblical life. Blood is an important parameter of life. The sections that follow will examine the questions posed above. Here we will try to observe if plants have blood, and how they use blood if they possess it. Lastly, we will try to observe if plants fit this parameter of biblical life. So one may conclude that the presence of hemoglobin exists over a large portion of the plant kingdom. The function of hemoglobin in plants is uncertain at this point. Salisbury confirms this: ‘leghemoglobin is thought to transport oxygen into the bacteroides at carefully controlled rates. Too much oxygen inactivates the enzyme that catalyzes nitrogen fixation.’187 Appleby supports Salisbury’s point. He says ‘the function of leghemoglobin seems confirmed as facilitation of oxygen flux to respiring Rhizobium at extremely low, nontoxic free oxygen concentration.’188 So, though the function of the leghemoglobin is uncertain, it does appear that the function is similar to the animal hemoglobin in that it transports oxygen. So then, one can observe that plant hemoglobin does not function in terms of the disposal of waste products produced by respiration as does the animal hemoglobin. There is another major difference between animal and plant hemoglobin, that being the locality of it. We have shown that plant hemoglobins are in the root systems of plants that possess it. Yet when one notes its occurrence in animals, it traverses the whole body tissues or most of the body cavity. This illustrates perfectly what Leviticus 17:11 says, that the life of the flesh is in the blood. This speaks of something that runs throughout the body, not just one portion of the body. Thus the function of blood in ‘living’ things must be something that the whole of the flesh or muscle tissue possesses within it. This brings us to answering the question: do plants possess this biblical parameter of life? The simple answer is no, plants do not possess this important parameter. The function and locality of plant hemoglobin is too different to argue that plants do possess biblical life. Many have tried to show that there is a long line of similarities between human and plant hemoglobin. They argue that the amino acid sequence is very similar,190–201 and thus we have molecular homology. They argue that they can trace the lineage back to a common ancestor gene. Yet this does not prove evolution or creation. All that this proves is that common form produces common function. So in all reality this can support either model of origins. The third area of comparison between plants and animals relates to the above discussion on blood, yet the topic is specifically that of respiration. When discussing blood, we made the point that blood was necessary for respiration. The definition of respiration was the disposal and transportation of gases. The observation to be made here is that to have this type of respiration, one must have some structures that assist respiration. These structures are lungs, gills or other breathing apparatus. This here will only be a brief overview of the apparatuses. A general statement regarding invertebrates may be found by Bauchsbaum. He says: ‘many have specialized structures that provide increased surface for respiratory exchange with the surrounding air or water. In others, this exchange occurs over the body surface.’202 Gardiner examines five different structures: integumentary exchange, gills, water lungs, aerial lungs, and trachea.203 One will search plant physiology texts in vain for any such structures. Yet when man and animals share this much it appears to imply gaseous exchange. However, it is interesting to observe the usage of neshamah in this light. The Old Testament never uses this word referring to water dwellers. Still, those who possess this ‘breath of life’ inhabit the land and were the recipients of the judgment of God by the Flood. So, although neshamah is semantically related to ruach one cannot say this is part of the biblical parameters of life. This is true because God said of the sheretz, or swarmers of the sea, that they had life. So it would appear that this term neshamah would be instructive in terms of those animals that God brought onto the Ark. God told Noah to bring also the sheretz of the land, so this would have been those small air-breathing insects. According to Genesis 7:21 ‘Every living thing that moved on the earth perished’ and this includes the sheretz of the land. So then, one may observe that the term ruach is informative in defining biblical life, while the term neshamah is not. The term ruach refers to those that possess some sort of structure that helps in this gaseous exchange. The fourth and final comparison will be that of consciousness as exemplified by the term nephesh. This comparison will examine the use of the nervous system. Consciousness may be defined as ‘the knowledge of what is happening around one, the state of being conscious.’204 What we must examine is the following. What is the nervous system, and what are its component parts? How do these component parts function, and are there various forms of nervous systems? Then regarding plants, do plants have a nervous system, and how do plants make seemingly conscious movements? Once we have dealt with these questions then we should be able to draw some conclusions about what biblical life is, and possibly what organisms possess it. So one may observe that the definition of a nervous system must not be thought of in terms of its basic function (response to stimuli), but in terms of its makeup (specialized cells). Clearly, the use of a nervous system allows complexity of behavior. The synapses are those gaps between the different axons within the body. They function as a necessary part of the nervous system. The component parts of the nervous system are then the nerve cell and the synapse. We will be discussing other parts of the nervous system, but in the basal parts are these two. So the function of the nervous system is to carry some sort of signal that will enable the organism to react to its environment. One would do well to observe the complex nature of the nervous system in general. One can see this general complexity of the nervous system because ‘the complexity of a given nervous system is related simply to the way these units are linked together.’216 Here we will examine the various types of nervous systems, from the very simple to the very complex. The more complex the system becomes, it appears, the more complex the behavior becomes also. Thus, the nerve net will allow reaction on both sides of the body when stimulated on only one side. The system is very diverse over the whole body with no real centralization. There is no ‘complex behavior’ exhibited by those that possess the nerve net. The radial systems are simply complex nerve nets. They do have some move toward a centralization, but very little. The movements of these animals are much like a wave action, not a complex composite of actions. The behavior of these animals is also very simple, nowhere near the complex behavior of the ‘higher’ animals. So it would appear that the bilateral system is much more complex than the nerve net and radial system. Yet as one examines the schematic illustrations of how this system is structured, one will observe that much of the nerve processes are not centralized but very much localized. Most of the nerve mass is still contained in the outer structures of those animals that have the bilateral system. As we have staled before, the more centralized the nervous system, the more complex the behavior. This author has not observed anyone discussing the behavior of those possessing the bilateral system, but he suspects the behavior is not very complex. Once we leave this system the behaviors start to become complex, depending on the animal. All the animals that the Bible describes would fit into this classification. Even some that the Bible does not specifically tell us about also may be found in the complex group. One may observe that Meglitsch links the complex brain with complex behavior. Thus the cephalopods are among the complex group. The spiders and scorpions also may be placed in the group of complex nervous systems. One could rightly conclude that the insects are a complicated group because of their complex nervous system. The nervous system of the invertebrate becomes complex, and this in turn allows for complex behavioral patterns. One may observe that the transportation of the stimuli, although electrical as in animals, is done through the water system of the plant and not through specific cells designed to transport the stimuli. This could account for the difference in speed in actual neurons. It would appear that the Venus flytrap uses chemical means to carry the stimuli rather than electrical means. One must ask then if plants possess a nervous system that causes the various movements we perceive. The answer to that question is a strong negative. Plants do respond to stimuli, which is similar to the function of a nervous system (to produce the response), but they do not possess such a structure. Thus plants fail on this fourth parameter of biblical life. One finds no mention of plants in the above quotation nor in any of the discussion in the book. Sarnat starts with invertebrate animals and omits the plant kingdom totally. Again, we might ask what homology provides the interpreter of scientific data. It provides neither proof for nor against evolution. It shows that common use will require common structures. It does not provide the transitional evidence from one species to another. This must be supplied by the bias of the interpreter. Homology, then, is really silent in the creation/evolution debate. Yet this is a main line of evidence used by those whose bias is evolution. The presentation of the ‘evidence’ above may have seemed disjointed as it discussed the question of ‘what possesses life?’ Yet the reader was to have thought of himself as a detective, trying to uncover all the clues from the scriptures that pertain to the topic. It is now time for the detectives to step back from the clutter of the clues and look at the whole picture of what possesses ‘life’. The discussion of the boundaries of ‘life’ were four in total. The first was that of ‘soul’ or ‘consciousness’. It was determined that both animals and men possess these traits. The second boundary was ‘flesh’ or ‘muscle’. The Hebrew and Greek words apply only to humans and animals. Spirit or breathing, as the third parameter, exist in animals and humans. The final limit, ‘blood’, was linked with ‘flesh’ and ‘soul’. The Bible uses this strictly for humans and animals. All of these various characteristics must be possessed for something to be considered ‘living’. Throughout the biblical text a combination of these words may be used as a metonymy for all four. Yet the Bible nowhere gives any of these parameters of ‘life’ to plants. This consideration, ‘what possesses life according to the Bible’, is important for two reasons. The first reason relates to the existence of death, suffering, the food chain, and scarcity in the finished creation. It would seem, in the light of the boundaries of ‘life’, that plants are not ‘living’ according to the Bible, and, therefore, could not have ‘died’ when they were eaten by animals or man in the Garden of Eden. Since God is not the creator of death, it must have entered subsequent to the finished creation. The God of the Bible is a good, loving, holy, and omnipotent God. 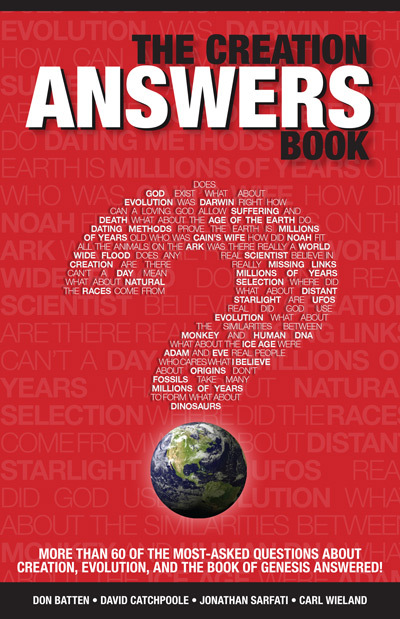 ‘A close examination of the text reveals that only two Hebrew words are used in the Genesis flood account to refer to the animals destroyed by the flood and to those taken aboard the ark. The words are nephesh and basar. The word nephesh translates as ‘soulish’ animals endowed with characteristics of mind, will, and emotions, creatures with a unique capacity to relate to humans. We call them mammals and birds. It is their soulishness which makes them particularly susceptible to the effects of man’s sin. The word basar refers more specifically to those birds and mammals that are part of man’s economic system, that is, to livestock, poultry, game animals, any birds or mammals that have had contact with man. Hugh Ross is dealing with the topic discussed in this article. He appears to accept the modern idea of ‘life’.247 He then adjusts his understanding of the biblical text to match that idea. Once this is done, modifying what the Bible says about Noah’s Flood is simple. He also believes that there was death, suffering, and scarcity in existence when God finished the creation. Ross goes on to say it was only those animals around man, and man himself that died during the localized, not global, Noah’s Flood. We started out to examine if plants had biblical life and so we discussed the biblical parameters that define a ‘living’ thing. The first parameter was nephesh. The Old Testament associates this Hebrew word, as usage shows, with consciousness. Man and animals are the focus of this word. We investigated this parameter in the biota. It seems likely that we may link this word to the nervous system. Here too animals only possess a nervous system, plants do not. The second parameter was basar. The meaning of this term is flesh. The Old Testament uses it referring to man and animals. As we observed the biota, it seems that this word is comparable to striated muscle tissue. Here too, this word never refers to plants. The third parameter is that of ruach. This word may refer to respiration or gaseous exchange in man and animals. Yet it never says that plants possess this characteristic. As we found in the biota, the third and fourth parameters must function together. This fourth parameter is blood. Blood, as we saw, is the means of transport for oxygen in animals and man. Without the blood to exchange gases, and to distribute nutrients, the animal or man dies. Blood is very important to the sacrificial system of the Old Testament. In fact the blood represents the life of the individual. Plants do possess a type of hemoglobin in the root system, and the purpose is similar. But the blood, as a biblical parameter of life, must flow throughout the organism as the Bible states in Leviticus 17:11. So one can rightly conclude that plants do not possess biblical life. If they are not ‘living’ then the animals eating plants in the original creation would not cause death to occur. So then, what possesses ‘life’ according to the Bible appears to have certain parameters. They are: consciousness, flesh, breathing, and blood. The Bible clearly includes those life-forms that possess these parameters. The question might then be asked: which animals in the biota have biblical life and which do not? This is a very difficult question to answer, for there is a vast gray area (at least as this author perceives it) in our knowledge. We can see from the biblical text that all vertebrates have biblical life. We have concluded that plants do not have biblical life. We may also say the single-celled life forms do not qualify for biblical life. The problems one encounters are in the remainder of the invertebrate group. There are still many things unknown about this group. It seems that we must wait patiently until we have more data to work from in answering this perplexing question. Nevertheless, according to the Bible, the ‘living’ things include at least fish, reptiles, amphibians, birds, mammals, and humans. Humans, who are God’s special creation, possess a much more diversified collection of these traits, but all ‘living’ things will have them in common. As suggested at first, some say that plants are also to be classed in the category of ‘living’. Yet the Bible never ascribes to plants the attributes of a ‘living’ thing. Since they are not ‘living’, they could not die when consumed. Death occurred in the world only after man sinned and God cursed His creation. 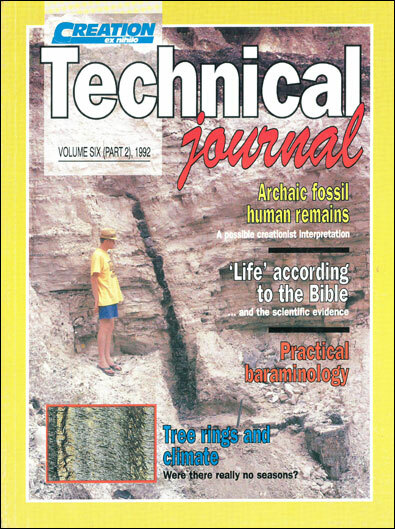 Stambaugh, James, Creation’s original diet and the changes at the Fall, TJ 5(2):130–138, 1991. Ross, Hugh, The Fingerprint of God, Promise Publishing Company, Orange, CA, p. 154, 1989. Webster’s Twentieth Century Dictionary of the English Language, Collins World, New York, second edition, s.v. Life, 1976. Silva, Moises, Biblical Words and Their Meanings: An Introduction to Lexical Semantics, Zondervan Publishing House, Grand Rapids, MI, 1983. If one would desire to see examples of a full semantic study he should consult this reference, and the two following. Gordon, Gary, A consideration of a select theologically significant signifies of qum, Th.D. Dissertation, Grace Theological Seminary, Winona Lake, Indiana, 1984. Thiselton, Anthony C., Semantics in New Testament interpretation; in: Marshall, I. Howard (Ed. ), New Testament Interpretation: Essays on Principles and Methods, Eerdmans Publishing Company, Grand Rapids, pp. 75–104, 1977. Brown, F., Driver, S.R. and Briggs, C.A., Hebrew and English Lexicon of the Old Testament, Oxford University Press, Oxford lists ten meanings for the nepes, 1978. Kohler, Ludwig and Baumgartner, Walter, Lexicon in Veteris Testamenti Libros, E.J. Brill, Leiden, 1953, suggest nine meanings for nepes. Waltke, Bruce, Theological Wordbook of the Old Testament avoids any confusion by not giving such a list. Jastrow, Marcus, A Dictionary of the Targumim, the Talmud Babli and Yersuhalmi, and the Midrashic Literature, 2 volumes, P. Shalom Publishers, Brooklyn, 1967. An Aramaic lexicon which gives four basic meanings for this word. Wolff, Hans Walter, Anthropology of the Old Testament, Fortress Press, Philadelphia, p. 10, 1981. Johnson, Aubrey, R., The Vitality of the Individual in the Thought of Ancient Israel, University of Wales Press, Cardiff, pp. 7–9, 1949. Chicago Assyrian Dictionary, s.v. Napistu. Johnson, ref. 12, p. 14. Eichrodt, Walter, Theology of the Old Testament, The Old Testament Library, 2 volumes, Westminster Press, Philadelphia, Vol. 2, p. 135, 1967. Eichrodt, Walter, Man in the Old Testament, Studies in Biblical Theology, No. 4, SCM Press, London, pp. 28–39, 1951. Robinson, H., Wheeler, Inspiration and Revelation in the Old Testament, Oxford University Press, London, p. 70, 1946. Pederson, Johs, Israel: Its Life and Culture, 2 volumes, Geoffrey Cumberlege, London, Vol. 2, p. 100, 1954. Brotzman, Ellis, The plurality of ‘soul’ in the Old Testament with special attention given to the use of nephesh, Ph.D. Dissertation, New York University, 1987. Davidson, A.B., The Theology of the Old Testament, International Theological Library, Scribners, New York, 1926. De Vaux, Roland, Ancient Israel: Its Life and Institutions, McGraw-Hill, New York, 1961. Heinisch, Paul, Theology of the Old Testament, Liturgical Press, Collegeville, Minnesota, 1955. Hodge, William H., The biblical usage of ‘soul’ and ‘spirit’, Presbyterian and Reformed Review 8:251–266, 1897. Jacob, Edmond, Theology of the Old Testament, Harper and Brothers, New York, 1958. Kurtz, J.H., Sacrificial Worship of the Old Testament, Klock and Klock Christian Publishers, Minneapolis, 1980. Oehler, Gustav Friedrich, Theology of the Old Testament, Klock and Klock Christian Publishers, Minneapolis, 1978. Pannenberg, Wolfhart, Anthropology in Theological Perspective, Westminster Press, Philadelphia, 1985. Payne, J. Barton, Theology of the Older Testament, Zondervan Publishing Company, Grand Rapids, 1962. Verkhovskoy, Serge, Creation of man and the establishment of the family in light of the book of Genesis, St Vladmir’s Seminary Quarterly 8:5–30, 1964. Berkouwer, G.C., Man: The Image of God, Studies in Dogmatics, Eerdmans Publishing Company, Grand Rapids, p. 201, 1962. Brotzman, Ellis, Man and the meaning of nephesh, Bibliotheca Sacra 145:403, 1988. Bowling, A., Theological Wordbook of the Old Testament, Vol. 1, p.446. s.v. Lebah. Kelleman, R., Hebrew anthropological terms as a foundation for a biblical counseling model of man, Th.M. Thesis, Grace Theological Seminary, Winona Lake, Indiana, 1985. Okeke, J., The concept of LB/LBB ‘heart’ in Jeremiah 31:33, Th.D. Dissertation, Lutheran School of Theology at Chicago, 1983. Pederson, ref. 18, Vol. 2, p. 104. Hamilton, Victor, Theological Wordbook of the Old Testament, Vol. 2, p. 727, s.v. Panim. Johnson, ref. 12, p. 44. Baker Encyclopedia of the Bible, Walter Ewell (Ed. ), Baker Book House, Grand Rapids, Vol. 1, pp. 91–115, s.v. Animals. Hatch, Edwin and Redpath, Henry A., A Concordance to the Septuagint and other Greek Versions of the Old Testament (Including the Apocryphal Books), Baker Book House, Grand Rapids, s.v. Psuche, 1987. Wigram, George, Englishman’s Greek Concordance, Zondervan Publishers, Grand Rapids, s.v. Psuche, 1970. Bauer, Walter, Ardnt, William F. and Gingrich, F. Wilbur, A Greek English Lexicon of the New Testament and other Early Christian Literature, 4th edition, revised and augmented, University of Chicago Press, Chicago, s.v. Psuche, 1952, notes eight different usages. Liddell, H.G. and Scott, Robert, A Greek English Lexicon, revised and augmented by H.S. Jones, Oxford University Press, Oxford, s.v. Psuche, 1968, lists 12 various shades of meaning. Schweizer, Eduard, Theological Dictionary of the New Testament, Vol. 9, pp. 637–656, s.v. Psuche. This is especially true of Pauline writings, cf. Vol. 9, pp. 648–649. Charles, Robert H., A Critical History of the Doctrine of a Future Life in Israel, in Judaism, and Christianity, second revised edition, Adam and Clark, London, 1913. Dubarle, Andre-Marie, Belief in immortality in the Old Testament and Judaism; in: Immortality and Resurrection, Pierre Benoit (Ed. ), Herder and Herder, New York, pp. 34–45, 1970. Ridderbos, Herman, Paul: An Outline of His Theology, Eerdmans Publishing Company, Grand Rapids, p. 120, 1975. Guthrie, Donald, New Testament Theology, Inter-Varsity Press, Downers Grove, p. 165, 1981. Kohler, Ludwig and Baumgartner, Walter, Lexicon in Veteris Testamenti Libros, E.J. Brill, Leiden, 1953, assigns seven meanings. Brown, Driver and Briggs, ref. 7, lists five meanings. Bratsiotis, N.P., Theological Dictionary of the Old Testament, s.v. Basar, gives six meanings. Oswalt, John, Theological Wordbook of the Old Testament, s.v. Basar, assigns four meanings. Jastrow, ref. 10, gives only two meanings for basar. Wolff, ref. 11, p. 26. Wolff, ref. 11, p. 26. The reason he uses the word ‘broadly’ is because the Old Testament never calls God basar and very rarely called nepes. So animals have more in common with man, than they do with God. Wolff, ref. 11, p. 31. Pederson, ref. 18, Vol. 1, p. 171. Hatch and Redpath, ref. 40, s.v. Sarx. Liddell and Scott, ref. 43, s.v. Sarx. Bauer, Ardnt and Gingrich, ref. 42, s.v. Sarx. Guthrie, ref. 48, p. 172. Schweizer, Eduard, Theological Dictionary of the New Testament, Vol. 7, p. 132, s.v. Sarx. It also must be noted that Schweizer alludes to the fact that the principle of sarx is a natural principle. He says: ‘The pneuma of God is introduced in the instrumental dative or with an instrumental dia, but Paul avoids this in the case of the antithetical sarx. Sarx, then is not a power which works the same way as does the pneuma’, p. 132. It appears that one does the works of the ‘flesh’ naturally and the works of the ‘Spirit’ only by divine guidance. Barclay, William, Flesh and Spirit, Abingdon Press, Nashville, Tennessee, 1962. Bruce, A.B., St Paul’s Conception of Christianity, Scribners, New York, 1915. Burton, Ernest, A Critical and Exegetical Commentary on the Epistle of Galatians, International Critical Commentary, T & T Clark, Edinburgh, pp. 491–195, 1920. Kummel, Werner, Man in the New Testament, Eppworth Press, London, p. 47, 1963. Brueggemann, Walter, Of the same flesh and bone, Catholic Biblical Quarterly 32:532–542, 1970, shows how this is true of the Old Testament as well. Guthrie, ref. 48, p. 175. Robinson, J.A.T., The Body, Studies in Biblical Theology, Series 1, Number 5, SCM Press, London, 1952. Gundry, Robert, Soma in Biblical Theology, Cambridge University Press, Cambridge, 1976. Payne, J. Barton, Theological Wordbook of the Old Testament, s.v. Rauch, notes in his discussion that there are four general uses. Brown, Driver and Briggs, ref. 7, lists nine specific connotations for this word. Kohler and Baumgartner, ref. 8, lists nine specific connotations this word possesses. Wolff, ref. 11, p. 32. Moscati, Sabatino, The wind in Biblical and Phoenician cosmology, Journal of Biblical Literature 66:305–310, 1947, examines the creative power of God’s ruah. Wolff, ref. 11, p. 33. Eichrodt, ref. 15, Vol. 2, p. 132. Whitlock, Glen, The structure of personality in Hebrew psychology, Interpretation 14:13, 1960. Wifall, Walter, The breath of His nostrils: Genesis 2:7b, Catholic Biblical Quarterly 32:237–240, 1974. Robinson, ref. 17, p. 76. Hatch and Redpath, ref. 40, s.v. Pneuma. Ridderbos, ref. 47, p. 66. Schweizer, ref. 62, Vol. 6, p. 436, s.v. Pneuma. Guthrie, ref. 48, p. 166. Hamilton, ref. 37, Vol. 1, p. 190, s.v. Dam. De Vaux, Roland, Studies in Old Testament Sacrifice, University of Wales Press, Cardiff, pp. 88–91, 1964. Kautzsch, Emil, Gesensius’ Hebrew Grammar, 2nd edition, translated by A.E. Crowley, Clarendon Press, Oxford, p. 380, 1910. Kautzsch, ref. 88, p. 380. Williams, Ronald, Hebrew Syntax: An Outline, 2nd edition, University of Toronto Press, Toronto, p. 45, 1980. Waltke, Bruce and O’Connor, Michael, Introduction to Biblical Hebrew Syntax, Eisenbrauns, Winona Lake, Indiana, p. 197, 1990. Waltke and O’Connor give examples of this preposition showing exchange by the use of dam and nepes. Levine, Baruch, In the Presence of the Lord, E.J. Brill, Leiden p. 68, 1974. Milgrom, Jacob, A prolegomenon to Leviticus 17:11, Journal of Biblical Literature 90:149–156, 1971. Milgrom argues that this verse relates to the peace offerings, and not to any kind of expiatory sacrifice. Yet the verse structure shows that verses 10 through 14 are one thought. They speak about eating the ransom price for man’s life is not a monetary payment, but of blood in the meat that was killed. The verses are silent about any sacrifice. They do illustrate the great importance God places on the blood of any animal, and the respect that the Israelites or aliens in their land were to demonstrate toward the life force of the animal, and by extension, man. Wenham, Gordon J., The Book of Leviticus, New International Commentary on the Old Testament, Eerdmans Publishing Company, Grand Rapids, p. 245, 1979. Ringgren, Helmer, Theological Dictionary of the Old Testament, Vol. 3, p. 248, s.v. Dam. McCarthy, Dennis, The symbolism of blood and sacrifice, Journal of Biblical Literature 87:166–175, 1969. McCarthy, Dennis, Further notes on the symbolism of blood and sacrifice, Journal of Biblical Literature 92:205–210, 1973. Rowley, Harold H., The meaning of sacrifice in the Old Testament, Bulletin of the John Rylands Library 33:74–110. Smick, Elmer, Theological Wordbook of the Old Testament, Vol. 1, p. 279, s.v. Hayah. Johnson, ref. 12, p. 102. Ringgren, ref. 95, Vol. 4, p. 332, s.v. Hayah. Another idea related to this one is that of a period of time. This use has been discussed by Yaron, ref. 102. Yaron, Reuven, Ka’eth hayyah and koh lehay, Vetus Testamentum 12:500–501. When hayah is used with the adverb ka’eth the length is one year. Ringgren, ref. 95, Vol. 4, p. 332, s.v. Hayah. Gruenthaner, Michael J., The Old Testament and retribution in this life, Catholic Biblical Quarterly 4:101–110, 1942. Sawyer, John F.A., Hebrew words for the resurrection of the dead, Vetus Testamentum 23:218–234, 1973. This is an excellent overview of the terms related to resurrection which includes hayah. Hatch and Redpath, ref. 40, s.v. Bios. Hatch and Redpath, ref. 40, s.v. Zoe. Wigram, George, Englishman’s Greek Concordance, Zondervan Publishers, Grand Rapids, s.v. Bios, 1970. Bauer, Ardnt and Gingrich, ref. 52, s.v. Bios. Liddell and Scott, ref. 43, s.v. Bios and Zoe. Bultmann, Rudolf, Theological Dictionary of the New Testament, Vol. 2, p. 832, s.v. Zoe. Bultmann, ref. 111, Vol. 2, p. 861–863, s.v. Zoe. Bultmann, ref. 111, Vol. 2, p. 863, s.v. Zoe. Guthrie, ref. 48, pp/ 641–675. Ridderbos, ref. 47, pp. 205–207. Ladd, George Eldon, A Theology of the New Testament, Eerdmans Publishing Company, Grand Rapids, pp. 270–285 and 479–494, 1974. Ryrie, Charles R., Biblical Theology of the New Testament, Moody Press, Chicago, pp. 203–210, 1977. Goppelt, Leonard, Theology of the New Testament, 2 volumes, Eerdmans Publishing Company, Grand Rapids, pp. 135–143, 1982. Taylor, Vincent, Forgiveness and Reconciliation: A Study in New Testament Theology, Macmillan and Company, London, pp. 130–150, 1941. Bultmann, ref. 111, Vol. 2, pp. 866–872, s.v. Zoe. Bultmann, ref. 111, Vol. 2, p. 832, s.v. Zoe. Davies, Robert and Curtin, Nancy, Encyclopedia Britannica, Vol. 24, p. 451, s.v. ‘Muscles and muscle systems’. Hamilton, Victor, Theological Wordbook of the Old Testament, Vol. 1, p. 518, s.v. Meim. Oswalt, John, Theological Wordbook of the Old Testament, Vol. 1, p. 440, s.v. Kilya. McComisky, Thomas, Theological Wordbook of the Old Testament, Vol. 1, p. 128, s.v. Bari. Wolf, Herbert, Theological Wordbook of the Old Testament, Vol. 1, p. 129, s.v. Dashen. Negoita, A., Theological Dictionary of the Old Testament, Vol. 3, pp. 310–312, s.v. Dashen. Yamauchi, Edwin, Theological Wordbook of the Old Testament, Vol. 1, p. 285, s.v. Halb. Davies and Curtin, ref. 122, Vol. 24, p. 450. Gardiner, Mary S., The Biology of Invertebrates, McGraw-Hill, New York, p. 105, 1972. Meglitsch, Paul A., Invertebrate Zoology, 2nd edition, Oxford Univeristy Press, New York, pp. 105–154, 1972. He diagrams the nervous and muscle systems of the invertebrates, so comparisons can be made among these groups. Beklemishev, W.N., Principles of Comparative Anatomy of Invertebrates, 2 volumes, University of Chicago Press, Chicago, Vol. 2, p. 258, 1969. Carroll, Robert, Vertebrate Paleontology and Evolution, W.H. Freeman, New York, p. 584, 1988. Davies and Curtin, ref. 122, Vol. 24, p. 460. Gardiner, ref. 130, p. 66. Cambridge Encyclopedia of Life Sciences, Cambridge University Press, New York, p. 73, 1985. Brusca, R.C. and Brusca, G.J., Invertebrates, Sinauer Associates, Sunderland, Massachusetts, pp. 190–194, 881–882, 1990. Cambridge Encyclopedia of Life Sciences, ref. 136, p. 74. Clarkson, E.N.K., Invertebrate Paleontology and Evolution, 2nd edition, Allen and Unwin, London, p. 80, 1986. Encyclopedia Britannica, Vol. 24, pp. 461–462, s.v. Muscles. Mounier, N., et al., Insect muscle actins differ distinctly from invertebrate and vertebrate cytoplasmic actins, Journal of Molecular Evolution 34:406–415, 1992. Salisbury, Frank B., Plant Physiology, 3rd edition, Wadsworth Publishing Company, Belmont, California, p. 10, 1985. Salisbury, ref. 142, p. 10. Salisbury, ref. 142, p. 58. Salisbury, ref. 142, p. 78. Stewart, Wilson N., Paleobotany and the Evolution of Plants, Cambridge University Press, New York, pp. 78–80, 1983. Foster, Adriance S., Comparative Morphology of Vascular Plants, W.H. Freeman, San Francisco, pp. 37–38, 1959. Hildebrand, Milton, Analysis of Vertebrate Structure, 3rd edition, John Wiley and Sons, New York, pp. 198–199, 1988. Smith, John Maynard, Evolutionary Genetics, Oxford University Press, New York, pp. 272–303, 1989. Cambridge Encyclopedia of Life Sciences, ref. 136, p. 79. Lehninger, Albert L., Principles of Biochemistry, Worth Publishing, New York, pp. 705–706, 1982. Ratnoff, Oscar D., Blood; in: Physiology, Robert M. Berne (Ed. ), C.V. Mosby, St Louis, p. 407, 1983. Conley, G. Lockard, encyclopedia Britannica, Vol. 15, p. 128, s.v. Blood. Gardiner, ref. 130, p. 384. Lehninger, ref. 153, p. 706. Conley, ref. 155, Vol. 15, p. 131, s.v. Blood. Conley, ref. 155, Vol. 15, p. 131. Conley, ref. 155, Vol. 15, p. 132. Conley, ref. 155, Vol. 15, p. 134. Conley, ref. 155, Vol. 15, p. 135. Conley, ref. 155, Vol. 15, p. 136. Gardiner, ref. 130, p. 104. Gardiner, ref. 130, p. 388. Gardiner, ref. 130, p. 394. Gardiner, ref. 130, p. 395. Conley, ref. 155, Vol. 15, p. 133, s.v. Blood. Cherniack, Neil S., The respiratory system; in: Physiology, Robert M. Berne (Ed. ), C.V. Mosby, St Louis, p. 688, 1983. Lehninger, ref. 153, p. 170. Cambridge Encyclopedia of Life Sciences, ref. 136, p. 76. Cambridge Encyclopedia of Life Sciences, ref. 136, p. 82. Coney, ref. 155, Vol. 15, p. 130, s.v. Blood. Lehninger, ref. 153, pp. 710–711, for a more technical discussion. Cherniack, ref. 175, pp. 691–699. Gardiner, ref. 130, p. 441. Ting, Irwin P., Plant Physiology, Addison-Wesley Publishing Company, Reading, Massachusetts, p. 357, 1982. Bogusz, Didier, et al., Functioning hemoglobin genes in non-nodulating plants, Nature 331:178, 1988. Landsmann, Jorg, Common evolutionary origin of legume and non-legume plant hemoglobinous, Nature 324:166–168, 1986. Salisbury, ref. 142, p. 255. Appleby, Cyril A., Leghemoglobin and Rizobium respiration, Annual Review of Plant Physiology 35:471, 1984. Appleby, ref. 188, p. 457. Bogusz et al., ref. 185, list the amino acid sequence of leghemoglobin. Landsmann, ref. 186, also lists the amino acid sequence of leghemoglobin. Braend, M., Hemoglobin polymorphism in the domestic dog, Journal of Heredity 79:211–212, 1988. Chappell, Mark, Hemoglobin polymorphism in deer mice, Evolution 42:681–688, 1988. Dickerson, R.E., Hemoglobin: Structure, Function, Evolution, and Pathology, Addison-Wesley Publishing Company, Reading, Massachusetts, 1983. Fitch, Walter M. Molecular evolutionary clocks; in: Molecular Evolution, Francisco Ayala (Ed. ), Sinauer Associates, Sunderland, Massachusetts, pp. 160–178, 1976. Goodman, Morris, Protein sequences in phylogeny; in: Molecular Evolution, Francisco Ayala (Ed. ), Sinauer Associates, Sunderland, Massachusetts, pp. 141–159, 1976. Ingram, Vernon, the Hemoglobins in Genetics and Evolution, Columbia University Press, New York, 1963. Zuckerkandl, Emile, The evolution of the hemoglobin, Scientific American 212(5):110–118, 1965. Aw, S.E., Chemical Evolution: An Examination of Current Ideas, Master Books, San Diego, 1982, for a contrast to those who accept the molecular evolution of hemoglobin. Denton, Michael, Evolution: A Theory in Crisis, Burnett Books, London, 1985. Thaxton, Charles B., Bradley, Walter L. and Olsen, Roger L., The Mystery of Life’s Origin: Reassessing Current Theories, Philosophical Library, New York, 1984, suggest that it is impossible for molecular evolution to ever have occurred. Bauchsbaum, Ralph, Animals Without Backbones, 3rd edition, University of Chicago Press, Chicago, p. 18, 1987. Gardiner, ref. 130, pp. 421–440. Webster’s New Twentieth Century Dictionary of the English Language, 2nd edition, Collins World, New York, s.v. Consciousness, 1972. Lentz, Thomas, Encyclopedia Britannica, Vol. 24, p. 776, s.v. Nerves and nervous systems. Cambridge Encyclopedia of Life Sciences, ref. 136, p.88. Encyclopedia Britannica, ref. 205, p. 776. Encyclopedia Britannica, ref. 205, p. 777. Encyclopedia Britannica, ref. 205, p. 778. Encyclopedia Britannica, ref. 205, p. 779. Cohen, David H., The nervous system; in: Physiology, Robert M. Berne (Ed. ), C.V. Mosby, St Louis, p. 77, 1983. Beklemishev, ref. 132, Vol. 2, p. 70. Gardiner, ref. 130, p. 672. Encyclopedia Britannica, ref. 205, p. 780. Cambridge Encyclopedia of Life Sciences, ref. 136, p.89. Encyclopedia Britannica, ref. 205, p. 780–781. Beklemishev, ref. 132, Vol. 2, p. 76–77. Encyclopedia Britannica, ref. 205, p. 781. Gardiner, ref. 130, p. 676. Beklemishev, ref. 132, Vol. 2, p. 81. He terms the design of the nervous system ‘orothogon’. He says that this is the first step in the centralization of the nervous system. Encyclopedia Britannica, ref. 205, p. 782. Meglitsch, ref. 131, p. 356. Meglitsch, ref. 131, p. 506. Meglitsch, ref. 131, p. 510. Meglitsch, ref. 131, p. 654. Meglitsch, ref. 131, p. 656. Salisbury, ref. 142. p. 360. Salisbury, ref. 142. p. 352. Ting, ref. 184, p. 477. Salisbury, ref. 142. p. 354. Salisbury, ref. 142. p. 317. Sarnat, Harvey B., Evolution of the Nervous System, 2nd edition, Oxford University Press, New York, p. 3, 1981. Sarnat, ref. 241, pp. 8–p. Crick, Francis, The recent excitement about neural networks, Nature 337:129–132, 1989. Hunter, Dale, et al., A laminin-like adhesive protein concentrated in the synaptic cleft of the neuromuscular junction, Nature 338:229–234, 1989. Pagel, Mark D., How mammals produce large-brained offspring, Evolution 42:948–957, 1988. Ross, High, Noah’s floating zoo, Facts and Faith 4:4–5, 1990. White, William, Theological Wordbook of the Old Testament, Vol. 2, p. 851, s.v. Remes. Marsh, Frank L., The form and structure of living things, Creation Research Society Quarterly 6:13–27, 1969. Marsh also includes amphibians, reptiles, lizards, insects, and spiders in this group.